Can you reinvent a food culture? 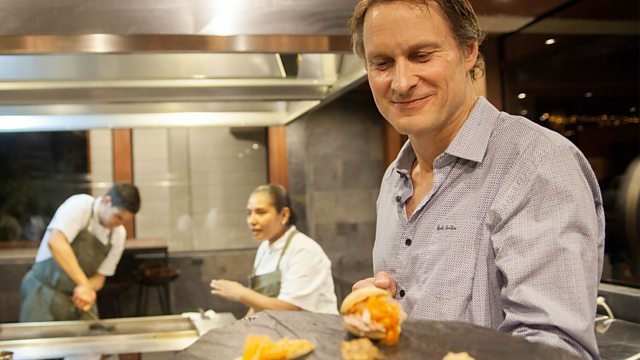 Dan Saladino meets a man who did, Denmark's Claus Meyer, the co-founder of Noma who went on to work in Bolivia and New York. Can you reinvent a food culture? Dan Saladino meets a man who did, Denmark's Claus Meyer, the co-founder of Noma, one of the world's most influential restaurants. From there he went to Bolivia and set up a restaurant to rescue lost foods of the Andes and Amazon, and onto New York where he founded a cooking school in a neighbourhood with some of the worst levels of food related illness in America. So what is he now doing in Newport, South Wales. "Yes, it was George Michael"